With new death threats against Elizabeth and the next rally only a few days away, Will has to unravel a complicated tapestry of blackmail, double-dealing, conspiracy, and murder before the killer has his next chance to strike. 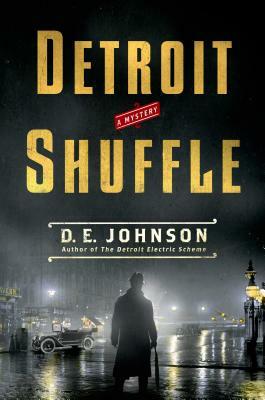 Johnson's immaculate plotting and high-tension writing make for a spellbinding read set in early twentieth-century Detroit. D.E. JOHNSON is the author of The Detroit Electric Scheme, Motor City Shakedown, and Detroit Breakdown. He lives near Kalamazoo, Michigan.